World-Wide Adventure! 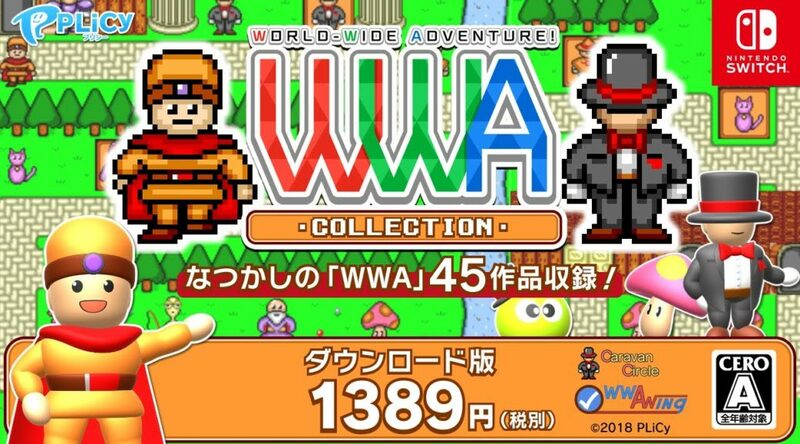 Collection will be joining the roster of colorful titles on the Japanese eShop. PLiCy has put up the game collection from the series World-Wide Adventure! which started as a browser RPG in 1998. The game is set to debut on Switch, as it’s very first console entry, in December 20. List price is at 1,389 yen. You may pre-order the game starting today. The collection features over 40 World-Wide Adventure! games from 14 different creatures. The user interface and systems have been optimized for Switch, its 2000s era graphics and atmosphere are untouched, and difficulty can be adjusted for newcomers to the series.